The new Solaris 68 RS, a yacht that will mark the history of sailing. The new Solaris 68 RS is the result of experience gained in the design and construction of sailing yachts for long-range navigation. The decision to concentrate engine room, tanks and systems under the saloon floor ensures optimum comfort even with a high-performance hull. 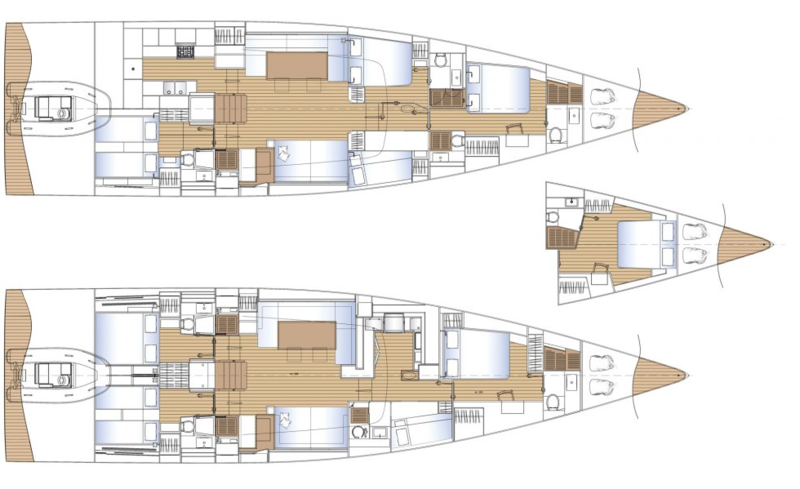 Different interior layouts can be developed to meet the requirements of any boat owner. The deck layout allows navigation even with a small crew in all sea conditions.